Many spiritual seekers have found the desert to be a sacred area where they could easily quiet the mind and explore the depth of the soul. Joshua Tree is one of the great treasures in this country. 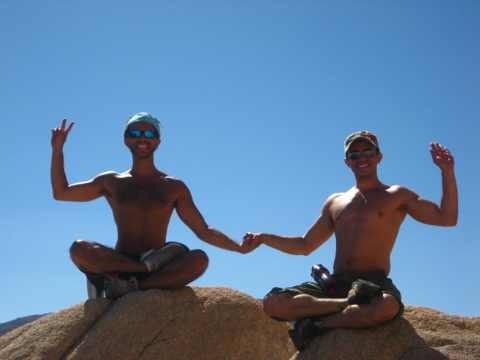 With miles of Joshua Trees, dry warm air, and beautiful large rocks on which to climb— this is the perfect place to deepen your spiritual practice and heal the body, mind and soul. In our busy modern times, it is all too easy to forget just how important community can be. 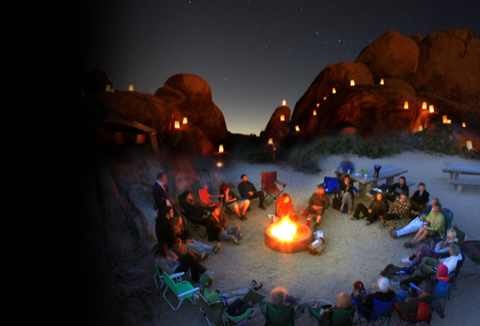 Desert Spirit provides us with an opportunity to connect with other like-minded people and to support each other as we create this adventure together. The process of practicing yoga together, climbing and hiking, sharing meals and gathering around the fire at night is deeply bonding. Frequently life-long friendships are forged under the desert sun.